I've shared with you where I draw my personal energy from, what my daily energy drains are and today I will share with you my favorite way to recharge when I feel drained! If you have been reading along with this NaBloPoMo you know that I draw personal energy from music throughout my day, but there are days when no matter what music I put on, I just can not motivate myself enough to do anything. I know on those days that the best thing for me to do to recharge is to take a nice peaceful bath! Normally before the kids get home, because otherwise, I'll never get that sought-after peace, I fill the tub to *almost* overflowing with this nifty little Deep Water Bath tool, then I light some Lavender Aromatherapy Candles, plug my I-Pod into the Color Changing Portable Mono Speaker that I received for my birthday and dim the lights. I have found that being able to fill the tub fuller allows for a better coverage of water which helps to relax more of my muscles, the candles smell wonderful and the lavender really helps to soothe and calm me. And as you can tell, music follows me everywhere, I would be lost without my rechargeable speaker and my docking station for my I-Pod. I will sometimes change things up and drop in some bath salts, but normally it's just me, the water, music, and candles! So, when you find yourself drained of energy, how do you recharge? This blog post is part of NaBloPoMo January 2013. The theme this month is “Energy” and today’s prompt was “What is your favourite way to recharge when you feel drained of energy?” Check out other great blogs that are participating and feel free to join the fun! Music is my charge but taking a bath sounds nice too. Though, I would probably fall asleep directly after, lol. I would love to have a fancy tub like that! Maybe I should try a bubble bath once in a while...of course, I'd have to schedule it for the same day that I cleaned the tub. Might be too much work? I want that bathtub so much. That is one of my dream bathtub choices. How I recharge depends on what is wrong with my day. 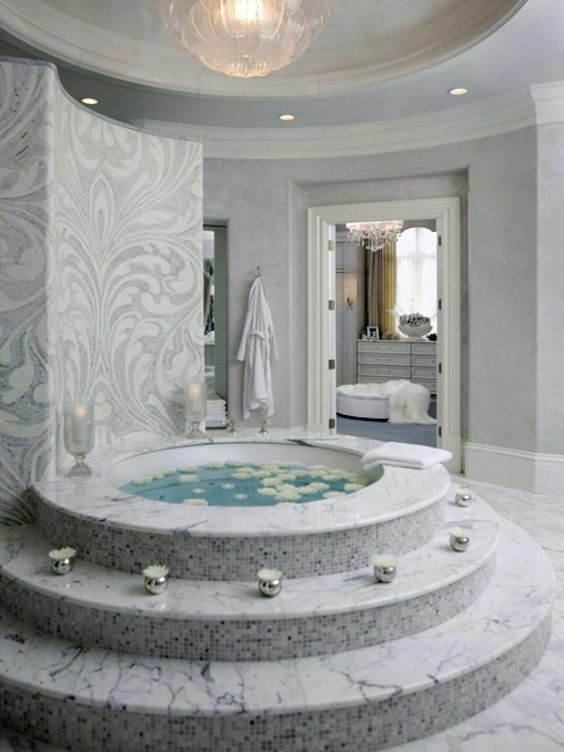 That tub looks divine! And I agree - music is an essential part of life!